The following letters from US supporters in behalf of Philip Savage represent just a sampling of the enormous and widespread support he attained from members of the US Congress, Federal agencies, State department, military agents, American scientists and medical doctors, and innumerable patients and clients who he helped ceaselessly (i.e. "saved") throughout the nine years he lived in the US. 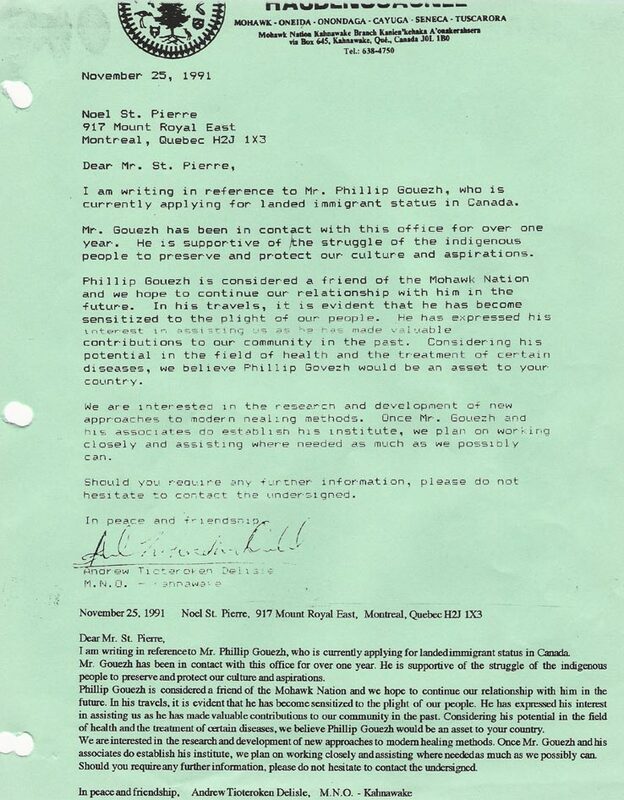 Most of the letters reprinted here were written at a time of EXTREME EMERGENCY when it was discovered by members of Sauvage's team that the low-down INS was about to betray all their promises to abide by US law and illegally deport Sauvage, which of course history shows they actually did on November 9, 2001. In many cases, these letters represent the deepest heartfelt appreciation that his American colleagues and friends had and still have for Philippe Sauvage and all that he did and still does stand for. With the advent of the THULEA.org website, there is finally cause for great rejoicing... and eventual overturning of GREAT INJUSTICE! Dr. Elisabeth Targ, M.D., Director, Complementary Medicine Research Institute, California Pacific Medical Center: I have known Dr. Savage for the past 3 years during which time I have had the opportunity to collaborate with him in developing two medical research projects in the area of spiritual healing. Dr. Savage brings an extraordinary combination of humanitarianism and rigorous science to his research and writings in this field. Dr. Savage is not only a scientist but also a generous and lucid teacher and counselor. ... It would be a humanitarian and personal tragedy for this scholar and spiritual teacher to be [deported] to suffer under religious persecution laws. Dr. David Simon, M.D., Director, The Chopra Center for Well-Being (to INS): ... Dr. Deepak Chopra and I met Mr. Philippe Savage approximately two years ago. We were both very impressed with his sincerity and genuine appreciation of his traditional healing system. Since that time, we have followed his research efforts and were pleased at his willingness to subject his healing process to scientific scrutiny. Mr. Savage has the potential to make great contributions to the scientific community and the people of the United States. Dr. Joseph Watson, M.D., D.O. (to INS): ... I met Philippe Savage over six years ago and have had the extraordinary privilege of working with him on research projects and studying under him to enhance my own health practice. Many of my own patients have personally benefited greatly from knowing Mr. Savage as I have myself. Dr. Dina Villanueva, M.D., D.O., Clinical Director, Samuel Simmonds Memorial Hospital: I met Philip Savage in February of 1997 through one of my osteopathic colleagues in Del Mar, California, Dr. Joseph Watson. I had heard through Dr. Watson that Mr. Savage had worked on thousands of people mainly in Europe and the United States, as well as allover the world for over the past 25 years. What drew my interest as a physician was his experience in reversing genetic mutations, like cystic fibrosis - in Vivo, and his ability to erase cancer and to halt the effects of AIDS. ... By my own estimate, I felt that my skills had increased 300%, all within a few weeks of receiving bi-weekly treatments from Mr. Savage. Dr. Bruce Lipton, Ph.D., Molecular Biologist, Professor, Research Scientist (to INS): I learned about Mr. Philippe Savage and his extraordinary work from my colleagues and long-time friends, Dr. Joe Pearce and Mr. Michael Mendizza. After reviewing... the research conducted by Mr. Savage on children with third-degree burns, I became quite excited about the possibilities of future research in my field of cellular consciousness... He and his work are definite assets to the American scientific and professional community. Mr. Michael Mendizza, Director, Touch the Future (to INS): I met Mr. Philippe Savage almost four years ago at the California Institute for Human Science. I was particularly impressed and interested in his extraordinary abilities as they relate to children and his ability to teach his skills to young people. I am well versed in the past and current literature documenting the unusual abilities of rare individuals to positively affect the health and well-being of the human body even from a distance. Mr. Sauvage and his work are extraordinary public assets. Dr. Joseph Chilton Pearce, Ph.D., author (Magical Child, Evolution's End, etc), International Lecturer (development of intelligence in children and adults) (to INS): Mr. Savage is the devoted father of two US citizen children, has strong professional ties to the American scientific community and has diligently pursued every legal possibility to remain in this country. Were he free to live and work in the US we would all benefit from his knowledge, research and teaching, and his children could continue to live with their father and mature under his guidance and care, an issue over which I am particularly concerned. In light of Mr. Savage's respected stature within the European and American societies, I would hope that you would use your sensitivity and discretion to stay the deportation of Mr. Savage. Dr. Inula Martinkat, Ph.D., Transpersonal Therapy Institute (to INS): Mr. Sauvage is the most compassionate person and extraordinary "healer" I have ever met. His research projects in the United States are truly exceptional and our scientific community is fortunate to have him here. ... Mr. Savage represents the Spiritual Healing Tradition of his Celtic people that many of us in the United States appreciate and respect. Dr. Carolyn Mein, D.C., Author (Different Bodies, Different Diets) (to INS): I met Philippe Savage about four years ago and am aware of his very valuable Celtic healing tradition. His research projects have been widely documented in Europe and now in the United States. There is a great need and demand for this technology, especially considering that it can be taught to others.